Q: It's the weekend and I'm having issues with my tank. Can I get service? A:Our preferred means of communication is always via email. Our service email is monitored closely after hours and on weekends. Please send an email to ccaquarium@aol.com with your questions and we will get in contact with you, as soon as possible. Some issues can be resolved over the phone and if not, we can arrange service. Service calls after 5pm on weekdays and on weekends are billed at an over time rate. Q: I ran out of salt and I don't have my next PM for another 2 weeks. How can I get supplies? A: You can contact our office for any supplies needed. We ship nationwide and in most cases, supplies ship out on the same day they are ordered. You can reach us at 610-539-3310 to place an order. Please note, some stores require that we use a purchase order, so you may be asked to contact your maintenance department for a purchase order before we can ship your supplies. Q: Do you provide training for new seafood department employees? A: Yes! We always recommend that store personnel be trained by one of our expert technicians. 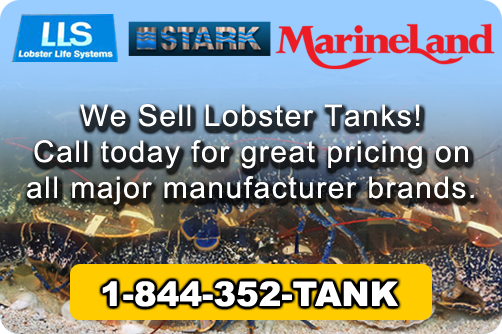 When seafood department personnel are properly trained on how to operate and maintain the lobster tank, stores have fewer service calls and less lobster loss. If you have new personnel in need of training, please contact our office and we will schedule an appointment to service your tank while training your staff. Q. Night shift needs to call in for an emergency service. How quickly will someone be able to come out? A: Our preferred means of communication is always via email, as our service email is monitored closely after hours and on weekends. For fast service, contact your maintenance department to request service. They will send us the necessary paperwork to dispatch a technician as quickly as possible. If your store typically requests service directly with us, please send an email to ccaquarium@aol.com with your store name, store number, address, contact person and phone number with a brief description of the problem. We will contact you as soon as possible. contact form below. We will contact you as soon as we can.